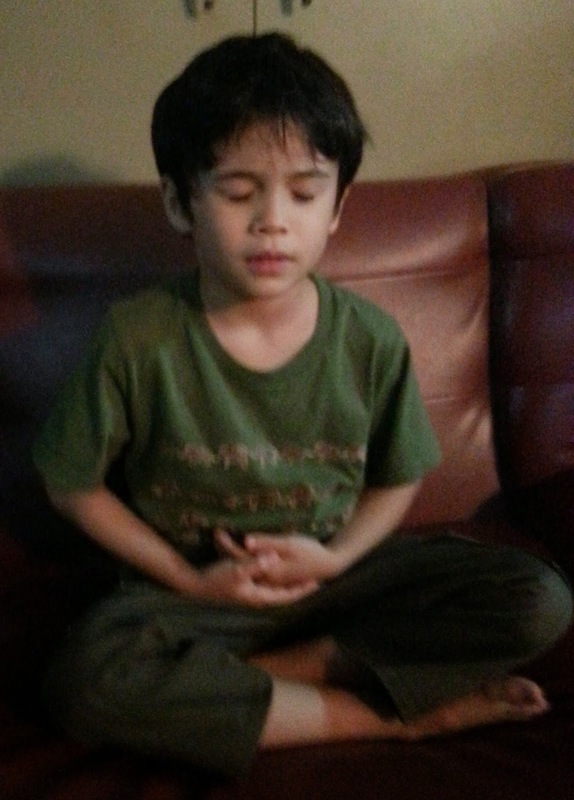 I was once ordained as a Buddhist monk in Thailand for over two months. That was eight years ago now, back in the end of 2007, from November to January. Since I've been mentioning a bit about that related to an expat forum discussion I'll pass on some of the same ideas here. Of course this will be far from complete, just talking around where it happens to lead. This is actually a common part of their culture, with origins in the original, older Buddhist tradition. Of course Thai Buddhism is part of the Theravada tradition, the older main branch of Buddhism, versus Mahayana and Vajrayana. This isn't going to be an intro to Buddhism post though, just about my experiences, so people interested in such a thing can check the main Wikipedia Buddhism article, then go on to read another hundred sources to see what that left out or got wrong. In the original form someone could ordain as a monk for the rainy season, then go back to lay-life. The intention would seem to be a spiritual retreat period but it's conceivable this also enabled a more practical aspect of providing those people a place to stay and food, from alms round practice. Given the context seems to imply it related to agricultural workers they would have already had a place to stay, and things should have went well enough with the farming that basic sustenance shouldn't have been an issue, but who knows really. It was a different time and place, or given how it could have evolved over time maybe different times and places. In the modern form in Thailand it's about accumulating merit for the family, more or less. Some people--men only; females can be a type of nun but not a monk, with one exception in a splinter group in Australia, but that's a different story--even ordain immediately after the death of a family member related to this. The point is that merit--good karma--doesn't just accumulate for that person, but also goes to family members, so even after death it's a way to support family that has passed, along with merit accumulated from memorial services, and giving gifts to monks. How effective can these rituals be, in terms of generating merit? There's no quantifying that, but there are ways to sort of add more "spiritual power" to effort, so a bit of a scale can emerge. If "higher" monks take part these are more highly regarded, sort of "spiritually accomplished" individuals, so having a ceremony involving some such monks is thought to have more effect. How would one know how senior, or highly regarded, or spiritually advanced a monk is? They actually have ranks related to such a thing, and of course older monks in general have more personally accumulated merit from their own practice, one of many factors related. All of this is drifting off the point a bit, though, that of covering some basics. So the short version is that taking part benefits the monk (maybe not so much in this life, or maybe so, hard to be clear on that), and also their family. The family receives a "merit / karma" benefit, which even extends to dead family members who are long since no longer around, or on to the generation not yet born. Or at least that's one part of the story, a literal faith that relates to generated merit. The idea that one might be a samanane or monk novice is an unusual special case. Thais seem to only use this position for children, although I can't say for sure there is no convention related to an adult becoming a samanane, but I'm not familiar with any. In the original form this is exactly what the role was about. I won't go into details but apparently this came about originally (per the stories, and this is just my own take) related to the Buddha establishing a role for his own son. Of course I'm not as clear that this was the direct cause, or just an existing role his own son came to take up, as a child. It seems like special tourism programs in Thailand (at least one) use "ordaining" an adult male as a novice for the purpose of giving a foreigner a taste of the experience without drawing on full ordination, or altering existing practices to set up monastic experience as tourism. Since I don't have a lot of background related to this I'm only mentioning it here as an interesting exception, and one that helps fill in a bit about this novice role. Thais would likely not be so clear on this distinction since it's unheard of for adults to become novices, so I would expect that they would naturally assume these people were monks. 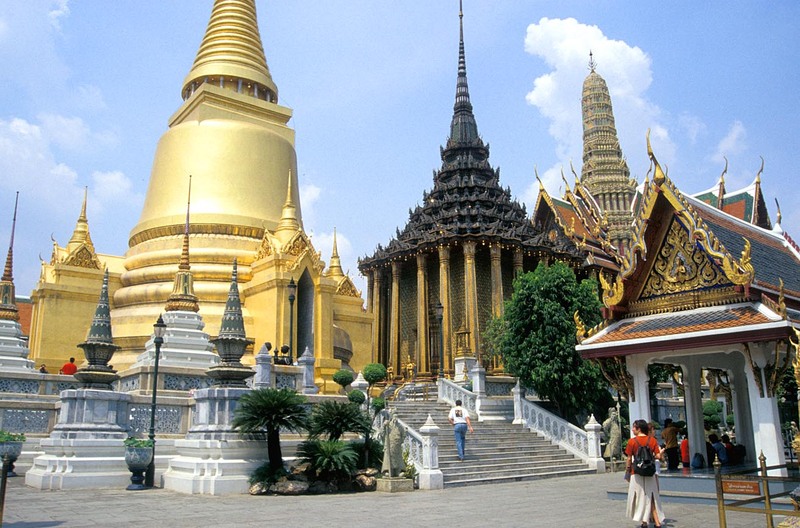 Visas to stay in Thailand aren't really part of the potential benefit. I know one long-term monk here (mostly online) that goes through the same visa issues others do, resolved mostly through use of educational visas. 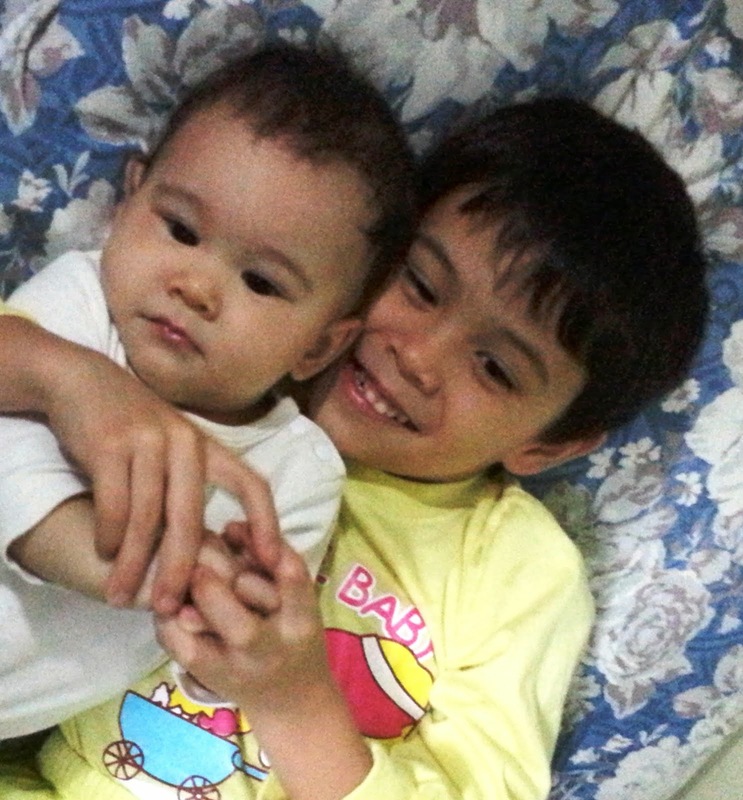 As related background, I know one other layman expat using the same approach, here as a long term student. Really all the same context of being a monk applies as to foreigners just as it does to native Thai monks; there is essentially no difference. Some complications come up related to language, of course, especially related to learning the rules for a monk, since direct instruction on the rules becomes more complicated. I'll cover all that in a later section. The ordination ceremony requires a good bit of chanting in Pali, but since that's a language that Thais don't speak either it's not so different to learn by rote for a foreigner as for a Thai. Thai is a tonal language but Pali is really not, so in that one sense learning random sounds in Pali should be a lot easier for a foreigner, compared to if one tried to do the same in Thai. It's not directly related to this experience but I did study Sanskrit quite a bit, four four semesters, or for 12 credits at the University of Hawaii in grad school, and those two languages are very closely related (Pali and Sanskrit), with a lot of overlap. Sanskrit is more or less a parent language that evolved to become Pali, which evolved to become Hindi, so unless I've got that completely wrong--which probably isn't so unlikely--Sanskrit is Hindi's grandmother. While I'm at it lets do a short tangent about how Pali and Sanskrit sounds relate to those in English and Thai, even though it's hardly related (it is related to the chanting, I guess). The tones are out, which I already said, with the main difference left relating to consonant sound differences. One vowel sound wasn't completely familiar, as I recall, but in general those wouldn't be so hard to get close to saying right with a background in either other language. At first in studying Sanskrit I really was trying to get the consonant sounds right, but later it became evident we could just botch that part and the professor didn't really care, so I never really did master them. Maybe I could be clearer about what I'm even talking about though. The main difference related to "aspiration," to the slight "h" sound or air release that corresponds to some consonant sounds. I don't want to go too far with this, but notice that when one says a normal "t" sound in English (test, tone, take, to, any words) there is a slight hiss of air following the "t," but when pronouncing a "b" instead there isn't (bat, boy, bin--try it an you'll see). Really it would be possible for someone to pronounce a non-aspirated "t" sound, to cut that part off, or an aspirated "b" sound, to add more slight hiss adjoined after to that. This is what I mean; Sanskrit and Pali use more options with both, they break up the sounds into more of them. Obviously if I could get that wrong for a Sanskrit class a monk wasn't going to stop an ordination ceremony and fix my pronunciation for that, though. Compared to a Thai I would have a slight accent, perhaps, since the breakdown of consonants is a little different in Thai too, but since the chanting was in Pali a Thai would probably be pronouncing Pali with a Thai accent too, related to other sound differences. I'll go into monk's rules a lot more, and drift back to some more general background and a conclusion, but in short one of the main rules of being a monk is that a monk can't possess money. Any guesses as to others? Of course they have to wear robes, but there are so many rules about the robes it sort of seems assumed and prior to those. One interesting rule is that a monk can't physically touch a woman. No problem; reasonable enough, right? It's interesting how they would define what "touch" means. What if a monk handed something to a woman, and accidentally touched her hand in the process? They've got that covered. A monk can't hand anything directly to a woman, or receive anything directly from one, so they are taking that rule fairly literally and seriously. Monks don't eat dinner either; they can only eat a breakfast and lunch, sometimes more strictly interpreted as only one meal a day, but the formal form is they can't sit down to eat lunch after noon. In theory they could sit down at 11:55 and there's no last word on when the meal needs to be wrapped up but stretching the rules is against the informal rules, the normal interpretation. Back to the issue of owning money, and potential financial benefit, monks do receive money as contributions, in spite of a clear rule restricting them from possessing or spending it. Strange, right? One part of that is about contributing to a temple, sort of, but in Thailand monks have some degree of expenses to cover, so they're not quite as literal and strict about that rule as for the one about touching women. Of course their expenses are very low, but they do have some very legitimate ones. For example, some temples charge the monks for their use of electricity, with the understanding that with completely unrestricted access they might waste it (leave lights on, or who knows what). Cell phones might seem a frivolous expense, although monks do seem to typically own those, but something like eyeglasses or medical treatment seems a valid use of money. I've heard that medical treatments are covered by society, I guess by the government at certain hospitals, so there may or may not be some gray area remaining. I didn't need money in the two months I was a monk, but then people did keep contributing things, so it wasn't like I would need to go to Tesco and buy a bar of soap. There are examples that make the Thai news of monks exploiting their role for financial benefit, or spending money improperly, but my impression (guess?) is that these are exceptions. Funneling some limited amount of money back to a family may not be so isolated, even if technically still not ok, but most monks probably wouldn't have access to enough money to waste a lot of it. Given that what most do with what they do receive isn't much of an issue, if they really need a cell phone and such, although I could understand some people thinking they really shouldn't own modern electronics like that. 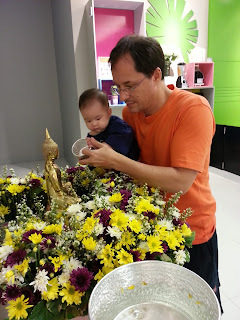 Others in the main temples, tourist centers, primary ceremonial centers, or probably those within the Dhammakaya sect in general probably do have access to more money (sort of the "Southern Baptist" version of Thai Buddhism, to go ahead and smear two religious sects at the same time), so it could become an issue if the access is there. What other benefits would there be to being a monk? That's really a separate issue, a bit of a tangent here. I'd already mentioned that if one holds a literal form of religious Buddhist faith this ties to accumulating merit / positive karma. Some form of spiritual development could be seen as the same thing or else as relatively separate from that. 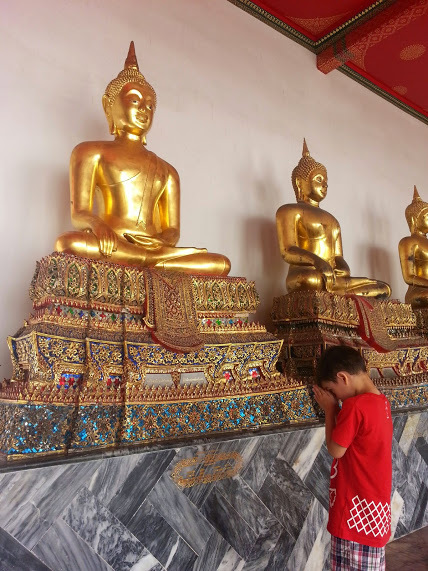 I had a good bit of history studying Buddhism so it really related mostly to that, personally, a follow-up to other types of exposure, enabled by becoming a part of a Thai family. Or maybe someone would just like the lifestyle. 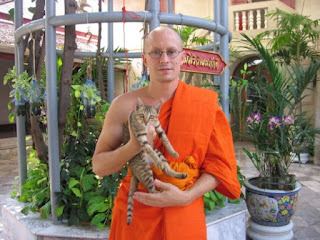 I knew a long-term foreign monk at another temple that stayed on for that purpose, or so it seemed to me; he liked it. I'll break all this out in another section. When I first became a monk my wife's aunt mentioned that people might become monks because they like the lifestyle, which seemed a little strange to me. Who would want a lifestyle defined most by over 227 rules one has to adhere to (more on that in a later section), covering significant restrictions like wearing normal clothing or physically touching a woman, or eating after noon. There are also a lot of minor rules, for example a monk is not permitted to drink something while standing (or so I was told by other novices; maybe not). Of course it wouldn't be a serious issue to break the minor rules (like drinking something while standing), and to some extent monks do possess money, going against one of the main rules, covered in this already. After being a monk I could see what she meant. It was hard adjusting to the schedule and the restrictions but after a month it all became a bit more normal, and along with some of those choices and options some responsibilities drop away. A monk doesn't need to worry about most expenses, like food or housing, or much about their jobs (although many had harder jobs than a lot of lay-people, work that would be somewhat demanding and perhaps even stressful, requiring long hours). Financial concerns would mostly drop away. Again I'm not sure how that works for medical care, which may or may not get complicated. One demand I didn't foresee, although I should have after studying for a month to repeat the ordination vows in Pali language, was that it takes a lot of work to learn and retain those endless chants they do in ceremonies. Since I don't want to write a lot really explaining what those are--too much for me to take on in a summary opinion based piece--I'll limit this to my own experience of them, or really only part of it, since they were the main background for all of my experience. This part gets a little strange; I never learned them when I was a monk (which again was eight years ago now). They covered the main ones with me, or seemed to; it would be hard to narrow down what "main ones" really means, even though they broken into sets. The reason for that gap in my training was simple enough. They sent the new monks, or temporary monks, to informal classes on what not to do, but as a foreigner I wasn't going to catch that training in Thai language, and they weren't going to translate it for me. It's hard to say to what extent the average Thai has already picked up the background of those rules. Of course they know that they're not supposed to touch women and can't eat after noon but I'm not sure how many of the other rules would be familiar to most. Some of the rules they don't really follow. We've covered the background on #17 and #18 of the nissagiyas (I'm referring to that reference list in the external link), not to accept or use money, and they sort of do that, to a limited extent. #1 on that list, not to keep an extra robe for more than 10 days at a time, they would also routinely ignore. In practice they really don't store a lot of extra robes, although I don't know the actual convention for limiting it. Maybe most would never keep more than one spare or something such. One might wonder the point of having a spare, or more than one spare, so I'll drift just a little into that. The main answer seems obvious enough; eventually one is going to need to wash the robe, maybe even frequently, and it would be strange to wear it wet after that, so a spare would be really handy while that dried. Another concern may not be so obvious: they come in different colors. Crazy, right? In general the Thai city monks wear a bright orange robe and the Thai country monks wear a dark orange, sort of rust-colored robe. Someone would not keep different robes to look the part, to dress in fashion, depending on where they are, of course, although monks do tend to travel more than one might expect, at least some of them. Somehow it's also normal enough for Bangkok monks to wear a darker color for formal occassions, to switch from the neon orange to a more beautiful closer-to-rust color. Of course that does get a little odd; monk formal fashion. One more detail to this tangent, then back to the main ideas: someone gave me such a robe once, a beautiful, formal ceremonial version. I did like the color, but was at a loss for what to do with it. I went to only one really, really formal ceremony, the kind of thing a brand new or temporary monk absolutely doesn't attend, but I went in my normal robe for that. I stood out, but then I already stood out for being a foreigner, and for not knowing those long chants, and for being generally clueless. I already had two robes, so technically I was already one over what I was allowed to own, with no real use for that robe, so I ended up just giving it away to another monk. Essentially all the rest of those rules the monks really do practice, but some of those get a little vague. One says to only shower twice a month, unless dirty, but that's open to judgement, and monks tend to keep clean now. It's as well since it's hot here in Thailand. One of the other new monks, the temporary, two-week duration kind, told me it was against those rules to smell a flower, and I asked a senior monk and he said it wasn't. I just read the list and nothing about that is on there. I didn't see a rule about not drinking while standing either, which the other monks said you can't do; funny how those minor rules inconsistencies might work out. They explained to me that violating a minor rule isn't really a big deal, or one that somehow seems out of date, no longer as applicable, although of course that leads back to a need for learning which are most minor. Most of it they really did apply very literally, with a lot of observed conventions that restricted monks to coming across as a bit reserved, sort of the intention of many of the rules. A lot of those rules do cover things that might seem like cultural elements, about manner, or even thoughts one should have, like not to covet things, or talk with your mouth full, some relatively minor details. What a monk can or can't do and how they behave really goes beyond that. A main example: a monk can't wai to someone first. The Thai "wai" is a hand gesture, pressing hands together in front of yourself, that looks like a Christian prayer gesture, used as a greeting here. But that's the short version; it can also mean "I'm sorry," and surely there's lots more to say about it. The Indian version is pretty close to that, maybe with the hands just held a little lower, with arms at less of an angle, and I'd assume they use it differently. And they say "namaste," a nice touch, which I've been told means "I show respect to the god in you." To get back to the point, younger people wai to older people first in Thai culture. If you do that wrong it's a bit of a faux pas. It's not quite that simple; someone clearly higher in status shouldn't wai to someone lower in status first, or maybe at all in lots of situations, so for example you don't wai to the taxi drivers, at all. As a foreigner in Thailand people don't expect you to get it right so a "farang" can just wai when they think it's a good idea, or only wai back. Or foreigners can really apply it as they like, nodding instead, it's not a big deal how it goes in their case. For a monk it's really simple; you don't wai to anyone, unless they wai to you. As for the rest it's mostly about coming across as dispassionate, not showing anger or excitement, being polite, etc. The rules point to this and other informal conventions carry on with that. Who knows if I did all that perfectly. 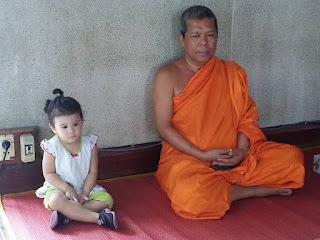 I was lucky to stay in a residence area (or "kuti") with a number of monks that spoke pretty good English, as younger Thais in general do, so I was probably doing ok based on their guidance. This was one of the most interesting experiences of my life. I had studied Buddhism for 15 years prior to being a monk and there wasn't that much overlap between that knowledge and related personal development and that time and experience as a monk. That I didn't expect, that monks really weren't talking about core Buddhism all that much, and if one was a monk and tried to that it might not get far. Rules, rituals, and stories about the Buddha's life were the opposite, those did come up. But then I was a "city monk." If I'd stayed instead at a forest temple dedicated to Buddhist meditation training and learning things might have been different. I did go on a meditation retreat in that time, out of the city. I'd been practicing meditation daily at a temple beside the one I lived in, at a meditation center at Wat Mahadat, so the point was more to get exposure to some of those ideas. This isn't completely unconventional, by the way, for a monk to travel or take up different purposes, but for a temporary monk probably it would be. One foreign monk in Bangkok runs a meditation and learning group, just because that's what he does. That stay out of the city, the meditation retreat, was very unusual because I stayed at a Dhammakaya sect temple, which is quite a bit different than the mainstream sect I was in, but given the length of this passage it seems as well to not go into those differences. I'll pass on one more story about an experience and just leave this at that. I remember one morning, early out on alms round, walking barefoot through the alleys near the temple. This was normal for me, one of my favorite parts of the day, although it was odd waking up at six for that. 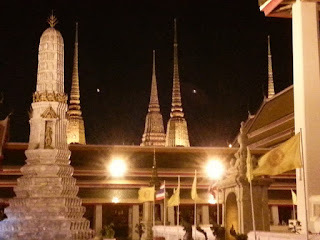 Alms round had an unusual feel to it, sort of quiet and almost somber, but peaceful. I was walking down a dark wet alley, of course wearing a robe, carrying only the covered bowl that monks use, and I saw a very small lighted Christmas tree in the window of a closed shop. I don't think it was actually Christmas day but it was close to that, and it might as well have been; monks don't celebrate Thai holidays, never mind foreign ones. It sort of hit me: what am I doing? It wasn't a terribly sad feeling, since I was over a month into acclimating at that point, but somehow I felt all the more out of place. It was my time to be a monk though, foreign to my original culture but a normal part of leading a slightly unusual life. By the end of that alley I walked past someone familiar, an older woman that had been offering food to feed me somewhat regularly for those few weeks. We didn't talk, there was really no personal bond, but to the limited extent that type of exchange was personal--which was really the opposite of the point, more about a religious role and ritual--I was grateful. I said the short prayer of blessing Thai monks say and walked on, back to my morning routine at the temple. sorry, I don't really pay much attention to this and missed the comment notice. 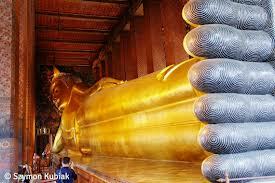 at Wat Pho (Prachetuphon, it's longer name), also known as the temple of the reclining Buddha, in Bangkok. It has help me in finding out more detail about "Thailand Visa For Indians"
Remarkable document....deep thanks. It seems that I must learn Pali and bring my Thai language up to full capability.